ResMed is a producer and manufacturer of reliable quality CPAP and BiPAP Machines for sleep apnea. Patients who live with sleep apnea trust ResMed and this company. It has produced a few machines that have stood out among the competition for features offered. ResMed has millions of cloud-connected CPAP and BiPAP machines that offer remote monitoring of patients. The devices created by ResMed not only help treat sleep apnea but are designed to aid people who live with various respiratory disorders. 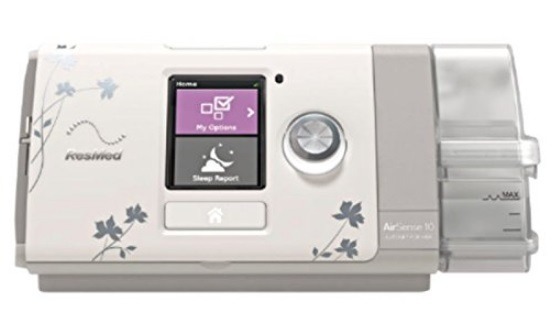 ResMed has been around since 1989 and has continued to improve sleep apnea therapy with the release of its CPAP and BiPAP machines that are part of the AirSense 10 series. All of these machines offer features that are beneficial for keeping track of therapy progress. ResMed takes the utmost care with their line of CPAP and BiPAP machines and considers fully the value that they can deliver to patients with sleep apnea. What Are ResMed CPAP and BiPAP Machines and How Does It Work? The ResMed AirSense 10 and AirSense 10 Elite are two models worth purchasing for treating sleep apnea. Although the price tag is a significant financial investment, both models keep track of your progress during sleeping, monitor leaks from your mask, and report various respiratory events. The ResMed AirSense 10 includes a ClimateLineAir tubing which works alongside the humidifier to optimize the therapy delivered. A sensor located toward the mask makes sure that the correct air temperature enters the mask, so you can breathe easier and reduce the chance of developing nasal dryness, or a parched mouth after each use. It's the provided app that comes with ResMed's AirSense models. Allowing both patients and their doctor to access therapy progress, and make necessary adjustments to the settings. The Easy-Breathe motor dampens excessive noise created during the machine's operation, to not disturb sleepers. And the Expiratory Pressure Relief ensures that when patients exhale, the pressure level depletes. Just enough so that patient's don't feel so much resistance, contributing to a more natural breathing cycle. What Makes ResMed CPAP and BiPAP Machines Unique? The ResMed series of AirSense machines are one of the more popular selections for treating sleep apnea. All of the AirSense series have a 2-year warranty and offer a pressure range between 4 to 20 cm H2O. However, the initial cost for ResMed machines is a bit more expensive than competitors by a margin of 100 to 200 dollars. You do get what you pay for, and the ResMed devices do offer specific features that other CPAP and BiPAP machines do not. Some models provide an alert if the mask comes off and leak compensation. Other manufacturers do not offer optimal features for nearly all of their models. 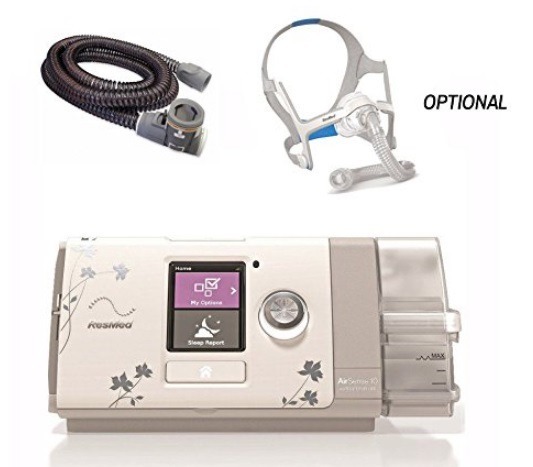 Plus, ResMed is unique for developing a CPAP machine made especially for the needs of women who have respiratory difficulties. The ResMed AirSense 10 AutoSet for Her utilizes technological advancements to work more naturally with a woman's breathing cycle. Since most ResMed models use wireless technology, the AirSense uses the app MyAIr to connect the patient's therapy data to a smartphone or communicate with one's health management team. Most CPAP and BiPAP machines have a noisy operation which can make it challenging to fall asleep. But ResMed AirSense 10 series machines have reduced sound levels. Which make falling asleep a lot more comfortable. ResMed devices have an auto adjustment, intuitive design, and with comfortable masks that take into account leaks, temperature control, and pressure delivery. When it comes to being travel-friendly, patients want an effective but compact machine. ResMed has produced machines like the AirSense AutoSet which have a quiet operation, and are small in size. The device comes with a travel bag; the humidifier is a standard feature. And there is the option of heated tubing via the ClimateLine. The humidifier chamber of the AirSense AutoSet is lightweight, easy to clean and access versus predecessors. One feature that assists with sleep apnea treatment in a CPAP or BiPAP machine is the algorithm. The algorithm used in ResMed devices adjusts the pressure based on calculating and monitoring a patient's breathing. Depending on how readily a machine can adjust pressure, humidity controls, and adequately administer therapy matters a lot. When comparing ResMed machines to other devices for sleep apnea, the algorithm used to calculate therapy feedback and make adjustments carries some weight. When respiratory events take place, it is better when a machine can anticipate patient needs or remedy an obstruction quickly until breathing stabilizes. Philips Respironics machines have an algorithm that is slower to react to signs that an event is about to occur, but it is quick to lower the pressure to minimum settings. ResMed machines usually respond more quickly to events by increasing the pressure amount, and then slowly reduces the pressure to minimum settings. ResMed machines also keep track of the mask pressure and flow limitation, whereas competitors do not. CPAP machines are available, but when you need a BiPAP machine, patients end up choosing between ResMed and Philips Respironics. If you need more than BiLevel pressure, you want a ResMed BiLevel machine because it has a broader range to customize therapy pressure for breathing. The ResMed machine offers fixed pressure support, whereas manufacturers adjust for breathing cycles differently. Although most ResMed machines have a quiet operation, on exhale it's more noise experienced. Philips Respironics machines like the DreamStation BiPAP Pro or DreamStation BiPAP Auto have lower sound level by 1 decibel than ResMed AirCurve BiLevel machines. ResMed BiLevel machines offer a higher maximum for operating altitude and offer auto pressure adjustment on most of their machines versus Philips Respironics. Other competitors who offer BiLevel machines include IntelliPAP and REMStar, which may operate a little more noisily than ResMed BiLevel machines, and have equal or lesser maximum operating altitude. ResMed machines are built to operate quietly than other devices and have built-in technology to better monitor respiratory events. However, being able to adjust pressure levels to breathe clear and easy isn't the only feature noting. When it comes to CPAP or BiPAP machine, user-friendly controls and menu screens make life easier. Some devices continue to leave their screen illuminated while in operation. And don't have any way of dimming the light, so it doesn't disturb sleepers. ResMed devices have a light sensor that lowers or raises the light of the LCD screen based on the amount of light in the room. Also, the machine will black out the LCD screen a few short moments after it has turned on. 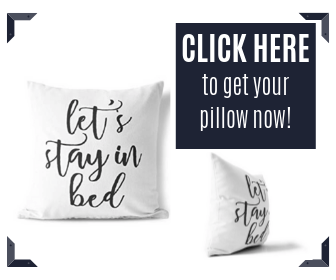 This feature keeps comfortable, so you don't have to face a bright light all night long while your machine is in operation. When you first get a ResMed machine, the instructions are very detailed, and set-up of the machine is not that challenging. If you purchase a model that comes with an included travel bag, everything you need to set-up your device, warranty details, instruction, tubing, is organized and ready to assemble. Attaching and detaching tubing is not tricky, and often can be pushed directly onto the outlet. The humidifier doesn't add too much weight to most ResMed models and is made to detach easily, clean, and refill for reuse. When utilizing the water tank in a ResMed, you will want to be cautious with the fill line, to reduce chances of mishaps. Mostly all of the components of ResMed machines are made from durable plastic, and the components readily slid into place or can be removed with a gentle but firm squeeze and a tug. Typically the machine is ready to use right out of the box and has automatic settings for the pressure setting, ramp, and humidifier. If you need to adjust the settings to what is prescribed to you by your provider, you can easily access the clinical model. Ramp time is a valuable setting to get to sleep more easily because you can set your machine to start off at a lower pressure level, and gradually increase to the prescribed pressure setting within 5-minute increments. This feature gives you enough time to fall asleep without feeling too much intense pressure, and it reduces the chances of experiencing apneas while the machine is still ramping upward. Settings that readily allow you to adjust pressure, humidity, and climate control settings at the touch of a dial make breathing easier. Plus, having built-in technology that monitors necessary changes, or adjusts to clear apneas while you sleep provides you with assurance. The ResMed AirMini Travel Auto CPAP retails for $999. The AirSense 10 AutoSet for Her retails for $883. The Elite AirSense 10 retails for $808. Other competitors like Philips Respironics or DeVilbiss Healthcare retail their CPAP machines closer to the $600 mark. A ResMed CPAP or BiPAP machine may have a hefty price tag, but it's indeed not the most expensive CPAP or BiPAP model on the market. Other manufacturers have produced devices that have a starting price tag of $1000. However, when purchasing CPAP or BiPAP machine, insurance should pick up the cost as a prescribed medical implement. CPAP and BiPAP machines offered by ResMed enjoy a higher rating than competitors. And delivers technology and features that improve therapy delivery for sleep apnea. CPAP machines are accessible, but ResMed produces BiLevel or BiPAP machine for respiratory difficulties that don't respond to therapy. Reaction time or anticipation of respiratory events is essential for patients with sleep apnea. ResMed machines use a more efficient algorithm that more closely monitors breathing patterns. And is more equipped to respond to events when they occur. The inclusion of Exhalation Pressure Relief is a welcome feature of ResMed machines. Because it reduces pressure on exhalation while still maintaining the pressure setting on inhalation, which diminishes apneas from taking place. Most ResMed machines have a humidifier, many being easy to remove and clean for maintenance. 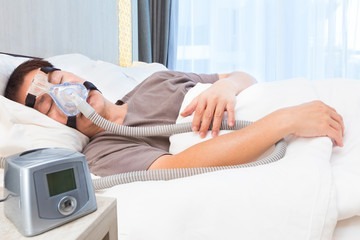 Humidification is a must-have feature for patients with sleep apnea. Because therapy is comfortable with the dryness in the sinus region after the session. Certain models will only be useful when paired with specific masks. 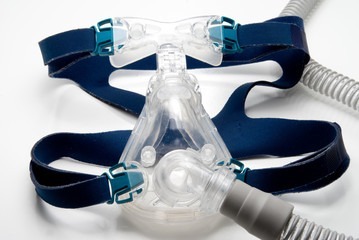 However, if you wear a particular type of CPAP or BiPAP machine, you'll get the benefit of unique settings. Specific to mask configuration to improve humidification, temperature control, or reduce mask leaks. ResMed is a popular choice for many people who live with sleep apnea. Although the price tag cost is about $200 more than competitors with equivalent features. It produces devices that are applicable for both standard CPAP therapy and adjusted pressure levels via BiLevel machines. These machines are worth the investment because of the options available for therapy. The technology used to monitor sleep results, apneas, and effective delivery of treatment. Plus, the 2-year warranty is sufficient to cover any needed parts or repairs.